This article describes how to add logic to your project by using the C++ language. 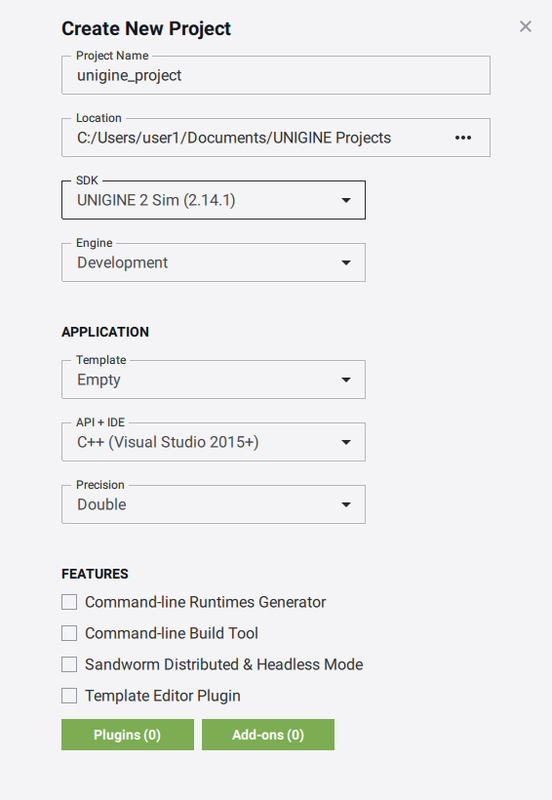 Code written in C++ is the same for all supported platforms: Windows and Linux. The difference is in the way of compiling the project. 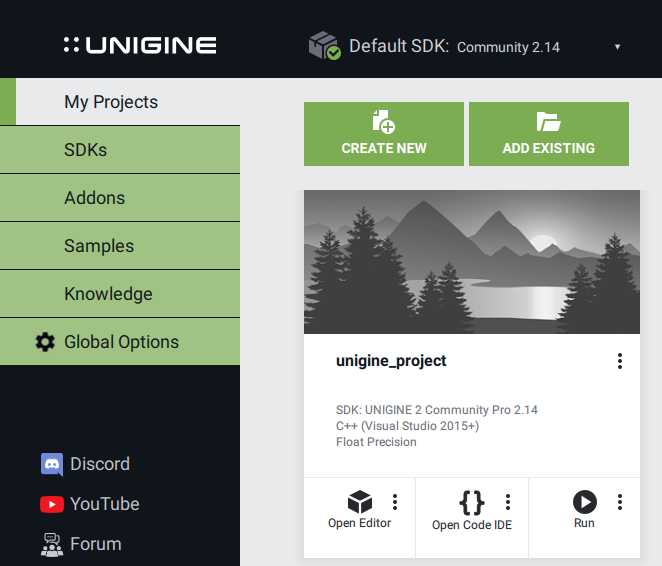 Before compiling your code, check that the appropriate platform and configuration settings for your project are set correctly. 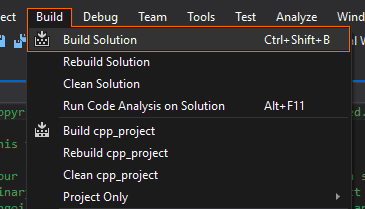 Build your project by clicking Build -> Build Solution in Visual Studio. 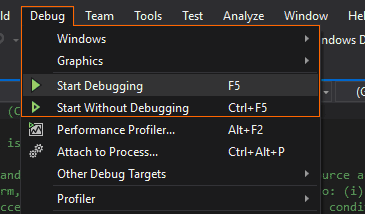 To run the debug version of your project from SDK Browser, enable the Debug mode in Customize Run Options.